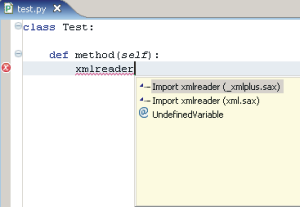 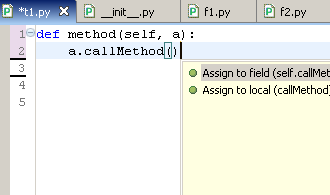 They are ALL activated through Ctrl+1, but which one(s) will show depend on the context it is activated. 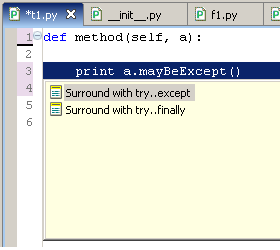 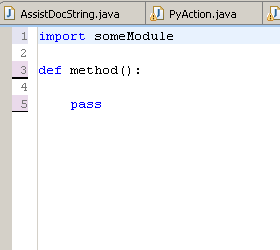 PyDev can accept a 'note' to warn it not to make code-analysis at all in some module. 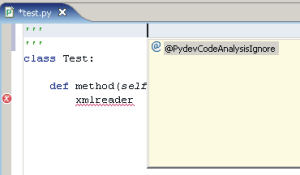 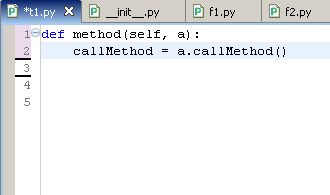 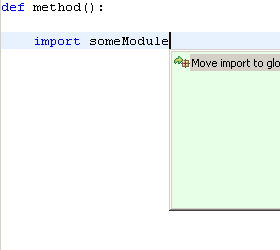 In order to do that' you can go to the first line of the module and press 'Ctrl+1' and choose the @PydevCodeAnalysisIgnore flag. 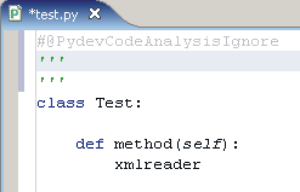 Doing that will add a note in the code to warn that this module should not be analyzed by PyDev. 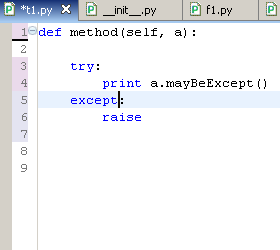 If you use automatically generated files, it might be useful to put that warning on those files, as it would not be useful to analyze those files. 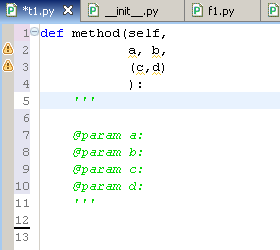 The example below shows the result of this action. 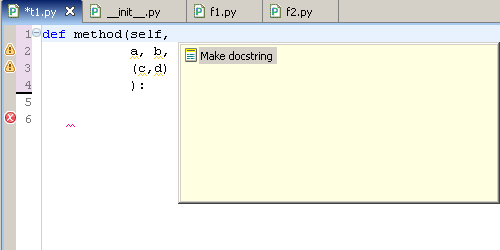 *NOTE:*Must be called in the 'def' line.